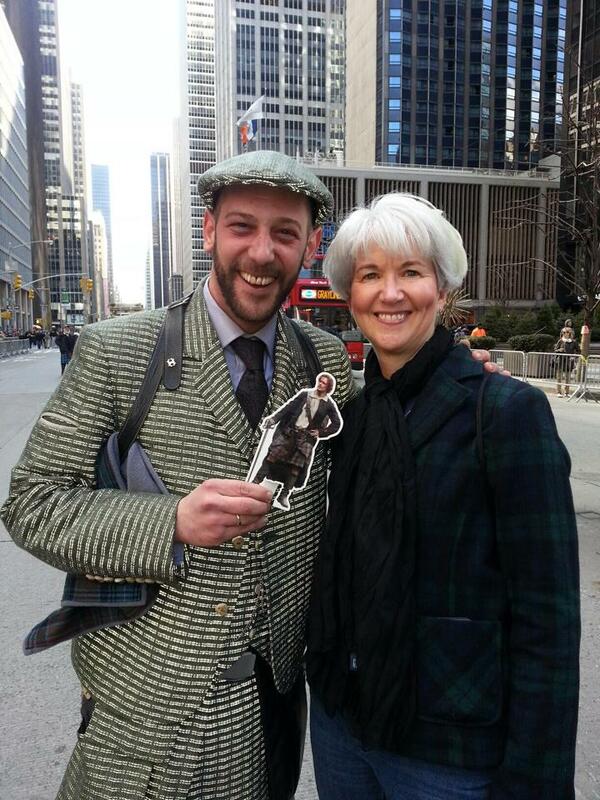 I brought Pocket Jamie to the Tartan Day Parade in NY yesterday and told my husband my goal was to get a picture of him with Grand Marshal “Howie Nicholsby,” who is the founder of 21st Century Kilts in Edinburgh. I’m shy to begin with, and Howie was usually surrounded by cool fashionista types so I was very intimidated. My husband gave me a much-needed push and I finally made my way over, said hello, and asked for a picture. Then he told me he will be an extra in Outlander. He wanted to check it all out, so he went to the set one day and they asked him to appear in the show. 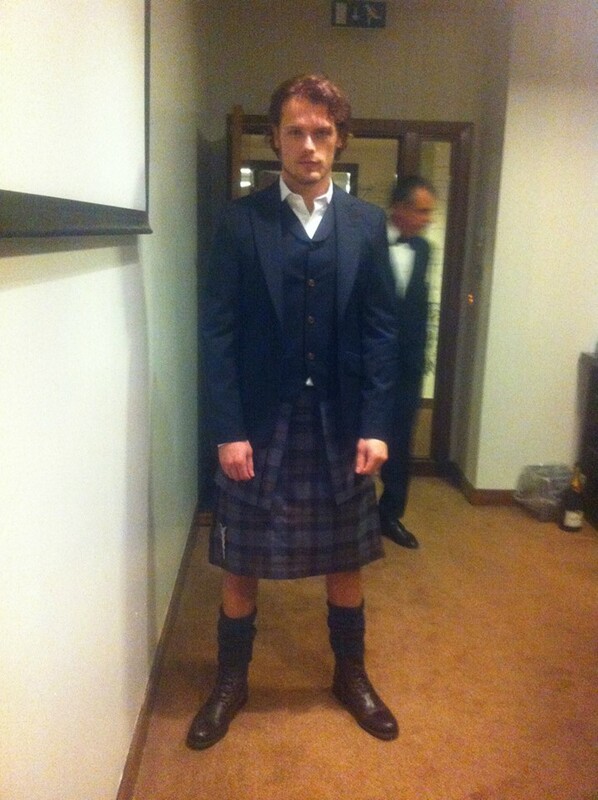 He mentioned Terry Moore, the costume designer, and said she thought it would be funny/ironic to put him in pants for the role since he is a kilt guy. Then he took out his phone and showed us a picture of him and Sam together in character. I confess I couldn’t really see it ’cause I didn’t have time to fumble for my reading glasses, but it was nice of him to show us. He said it was the first time he’d worn “trews” in 15 years and it felt really weird; he had to wear them for 3 1/2 days while he filmed his part, which will appear in the 4th episode. So he cheerfully posed with me and PJ and was as kind as could be, so I was really glad I got my nerve up to approach him.